Located in the East of France, it includes many families, young and adults, who try to follow Christ by putting their footsteps in those of St. Francis of Assisi. We rely very much on the love, the commitment and the loyalty of our friends of the Fraternity. 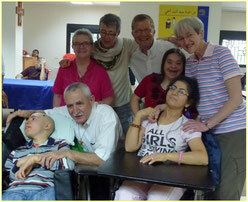 It enables our young people with disabilities to spread their joy of living in France. 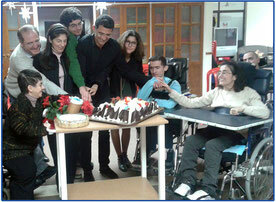 Association formed by a group of Lebanese friends and French volunteers who decided to help our young people with disabilities. Anta Akhi France organizes an annual dinner in Paris.